The Portpatrick Community Benefit Society (CBS) was formed in 2015 with the aim of securing the community ownership of the village of Portpatrick’s picturesque historic harbour, which provides vital local employment and lies at the heart of the village’s social and economic life. 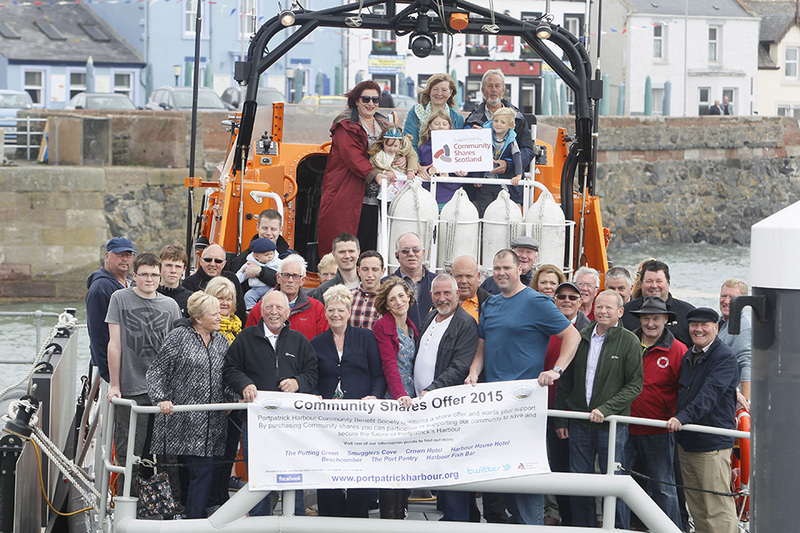 Portpatrick harbour was at risk of repossession and, to secure the continued ownership by the community, Portpatrick CBS had to raise £75,000 at very short notice. A community share offer was the perfect way to ensure continued community ownership and control over the harbour but this took time to complete. Pending the completion of the share offer, SIS was able to step in to secure the asset and our loan was subsequently paid off as soon as the share money came in. This solution was instrumental in enabling the community to purchase the harbour before they lost control of the situation. Now the harbour has been secured for the community, the society has been providing much needed investment into the harbour facilities. This vital local asset can now be preserved, regenerated and improved for the benefit of the community and future generations. Steve has run local business Lochryan Leisure since around 2009 and is a member of the volunteer lifeboat crew in Portpatrick harbour. Lochryan Leisure runs wildlife-watching tours and chartered fishing trips. “Before the buyout, there was a lot of uncertainty and concern around the future of the harbour and the local community and businesses that rely on its presence for their own industry and to attract tourists to the area. I was in a regrettable position where I was considering relocating the business to Stranraer up the coast. After investing significant time and effort in building my business in Portpatrick and, as one of the few local volunteer lifeguards with the RNLI, it was with a heavy heart I was considering having to relocate.